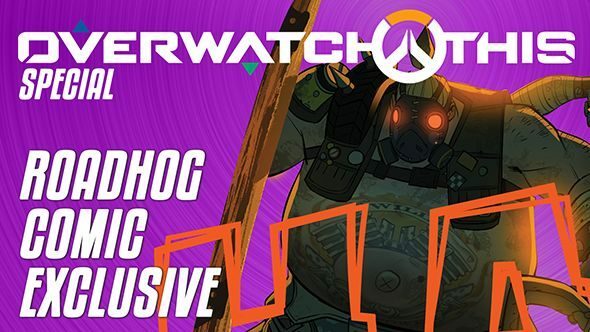 Update, September 6: Overwatch’s latest comic, featuring Junkrat and Roadhog, is out now. Wasted Land, the latest Overwatch comic, released today. You can check it out here, or see an animated version complete with jiggling Roadhog belly fat. For what’s coming to the game itself, check this list of upcoming Overwatch updates. 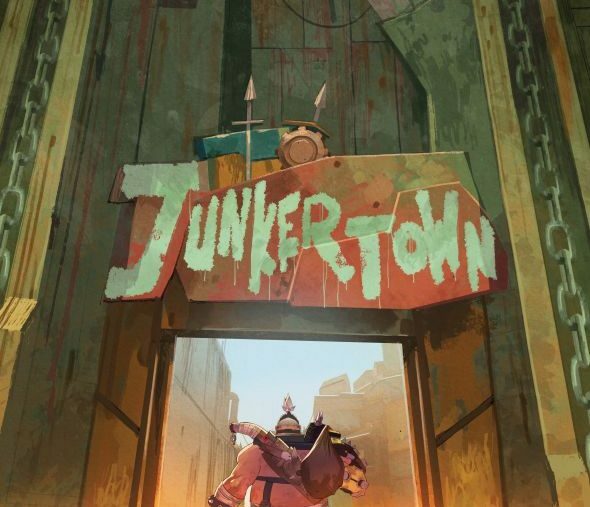 The comic shows off Junkertown, Overwatch’s latest location, and tells the story of how Junkrat and Roadhog met. It involves a lot of alcohol and violence, naturally. Writing was handled by Blizzard’s Robert Brooks, with art by Miki Montlló. Original Story, September 5:A new Overwatch comic will be released on Wednesday. It’s called Wasted Land and stars everyone’s favourite possible-cannibal Roadhog, set in and around Junkertown, Overwatch’s new map. Want to see what it’s like? We’ve got the cover and the first page for you below. Well, good luck to those guys. At least he’s been nerfed, eh? I’m sure they’ll be fine. The rest of the comic will arrive at some point on Wednesday according to Blizzard. Expect it around 10:00 Pacific (13:00 Eastern, 18:00 BST) which is when comics have gone live in the past. 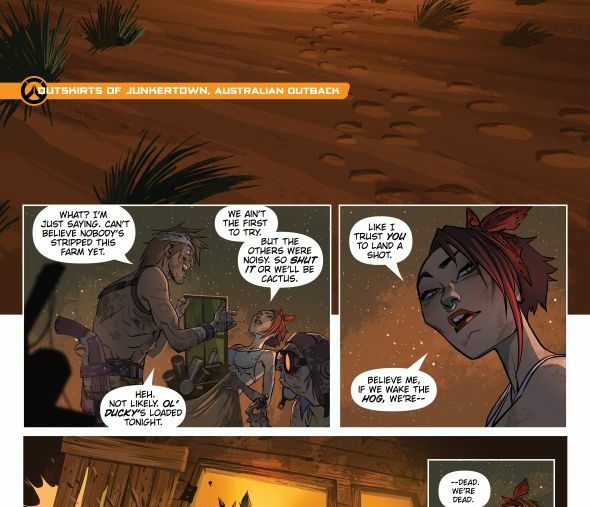 Hopefully we get more information on new fan favourite the Junkertown Queen. Do see the video above for further speculation.